Today starts our new HOW TO SERIES – on demand by you our readers. How do we take our environmental footprints into our own hands and radically reduce our negative impact on the planet we hope to leave behind to our children in a liveable state? How do we adapt to the realities of the environmental crisis and live with reverence and joy? Every second week we will publish the next instalment, so make sure you follow us. We start with going off the power grid, as these are questions on everyone’s lips: How can Jo Soap go onto solar energy? What about the cost implications? Would this be accessible to most of us? The master at the helm of this first part of our series is Berg-en-Dal eco village resident Peter McIntosh. 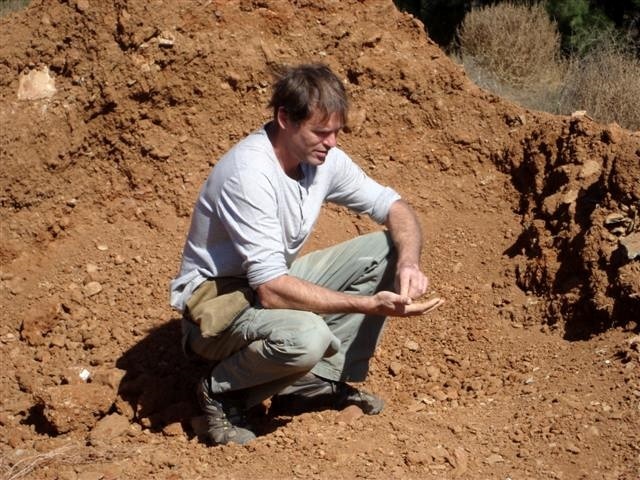 Peter teaches for the Natural Building Collective, transferring his passion for sustainability to students and volunteers. He lives in a community of people where they practice permaculture, growing their own food, living sustainably, and off the grid. Our centralized electrical grid is unstable, as we know from our regular power outages. Subsequently many people are considering solar as an alternative. We are blessed with abundant sunny days, making solar very reliable – without the need for a lot of backup storage in the form of batteries. These equations shift depending on where you live, however even countries like Germany, with much less sunshine, place a large emphasis on solar technology as part of their energy solution. Whether you live connected to the electrical services grid, or off-the-grid, there are compelling reasons to use alternative sources of energy. 1. Solar is no longer more expensive: While the costs of grid electricity continue to rise, the cost of solar continues to fall. When I started using solar 16 years ago a 75 watt panel cost R 3000. Now the same panel is less than R1000 and that is not even accounting for inflation. This is a trend that is set to continue. In South Africa the cost of energy from the sun and the cost from the power utility are now breaking even. As the costs of centralized large-generation capacity increase – be it from nuclear, coal or gas – the costs of alternative energy continue to fall. This is partly due to the reliance of conventional power stations on finite energy and as the resource is depleted, so the costs rise. Alternative energy relies on a source that is infinite and not linked to commodity prices. There is no cost for the energy from the sun, or wind or flowing water, the power of waves, geothermal energy and numerous others. As our technology develops and improves, so does our ability to take advantage of this abundant sun-driven energy. 2. Alternative energy pollutes less. It is true that there is no form of energy that produces no pollution. The components of alternative systems often need to be manufactured from industries such as mining, or require heavy energy inputs in their production phase. However, they generally require little input later. Compare this to a coal fired power station which continues to pump black smog into the air for its entire life; or a nuclear power plant that produces toxic waste for which we have no realistic solution. Currently a solar panel produces five times less pollution over its lifespan than conventionally produced energy. As an aside, the term ‘green’ has become very trendy these days and is often used to describe how an appliance or technology performs energy-wise. However, what these manufacturers fail to take into account is the energy required to manufacture and run these appliances and technologies, which are often not very sustainable. 3. We can play our part. While many of us try to do our bit by recycling, using the car less or growing veggies in the garden, the larger issues of global warming seem out of our grasp. Providing your own cleaner power is a powerful way to create change. 4. You become less reliant on systems that seem to be becoming increasingly fragile. The classic idiom of don’t put all your eggs in one basket is never more true than when referring to power. Being dependent on a central power source is not very powerful at all, decentralizing your power supply and potentially producing some of it at home is the way forward. Power outages are becoming more frequent and at the same time we are becoming ever more reliant on energy. A war with Russia would cut off gas to Europe, or conflict over oil will push up prices further. These conflicts will continue as there is a rush to grab what is left and companies try and leverage large profits from consumers, often manufacturing a crisis to drive up prices. Unfortunately fossil fuels have become a political tool in an increasingly manipulated market. 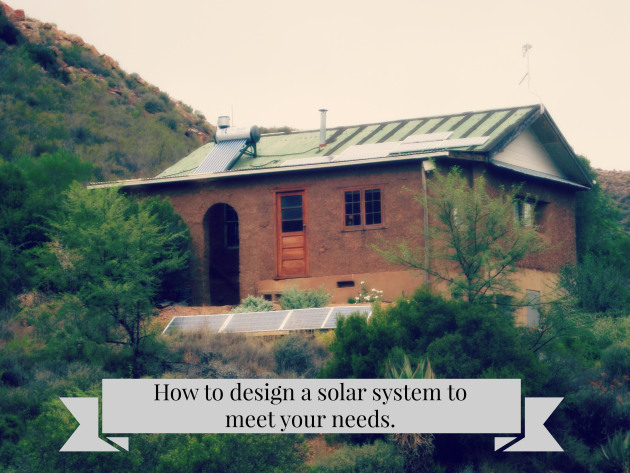 This short section will give you a basic understanding of commonly used terms and will help you to understand the components of a solar system. Watts is what does the work and is a measurement of the work done in one hour. Volts is the force field. Amps is the flow of current. Let us say a kettle uses 1000 watts. If you are using a 12 volt solar system, using the equation volts x amps = watts / 12v x 84 amp = 1000 watts, you would need 84 amps. If you are using 220 volts, which is what our power utility provides, then you would need 4.5 amps to do the same work (220v X 4.5 amp = 1000 watts). Your power utility needs fewer amps to do the same work, but this is made up for by the higher volts and the energy consumed is the same. Voltages vary depending on how far they need to travel and the equipment used to generate them. Your power utility needs to use higher voltages to overcome transmission loss over distance, 220 volts locally and as high as 30 000 volts to move electricity long distance to minimize power loss. 12 volts don’t travel far at all without the voltage dropping. People often opt for 24 or 48 volts at home for solar to overcome the loss associated with 12 volts. Below are more in-depth descriptions of ‘Resistance’, ‘AC-DC’ current and ‘Storage’, as well as the various components of a solar system, following which I discuss my own solar system as an example. All materials, from chalk to the air around us, have resistance to the flow of electrical current. Materials either have greater or lesser resistance and resistance can always be overcome. Even materials that are seen as good insulators will allow current (amps) to flow given a high enough force field (voltage). Lightning moves through air because the volts are super high and is thus able to overcome the resistance to its transmission through it. Copper is generally used for electricity because it has a low resistance; it can be drawn into a thread and is easily available, although at a cost to the environment. Resistance leads to heat which is why some materials will never transmit energy, because they will burn up before they can carry any current. The light bulb is a good example of this. It was only made possible when a material was found with high resistance and that generated heat as light, but did not disintegrate as a result. A very rare find. A specific type of bamboo did the job and we have modern lighting! Because copper has a low resistance, low voltages are needed to overcome the resistance that it does have, 12 volts will move through it. The lower the volts the higher the resistance of a material and the more power loss there is as a result of the generation of heat. Which is why electricity is more efficient at higher volts, there is less power loss due to heat. 12 Volt power, when moved over distance, looses more energy than 220 volt power because at lower volts there is higher resistance and therefore more heat generated. The thickness of copper wire dictates how many amps it can carry and copper wire is rated in amps. What this means is that a 10 amp rated copper wire can carry a maximum of 2 200 watts at 220 volts, but only 120 watts at 12 volts. You will need thicker higher rated copper wire to do the same work when using lower voltages, otherwise the wire will exceed its rated carrying capacity in amps and burn up. Other materials such as gold have an even lower resistance and are used in computers and headphone jacks because they do not resist the flow of current at even lower voltages. They will also generate less heat, so they are good in laptops. Follow this series further in the next issue of the Green Times, when Peter explains AC and DC power, how batteries work, the components of a solar system and the solar system he uses at home. Thanx for this series. Will it also include the difference in grid tied and off grid systems? Yes we can add that. Looks like you are energy smart. Would you like to submit such a piece perhaps? The price of the solar panel is just one of the components needed to go off the grid-what about all the others? Much more expensive!!! All the costs will be discussed … this is the beginning of a series. May we reproduce, with credits obviously. hi Alwyn, of course. We would like as many people as possible so share:)Please credit also our website. Very informative and basic. love it! Thank you and keep up the excellent work.